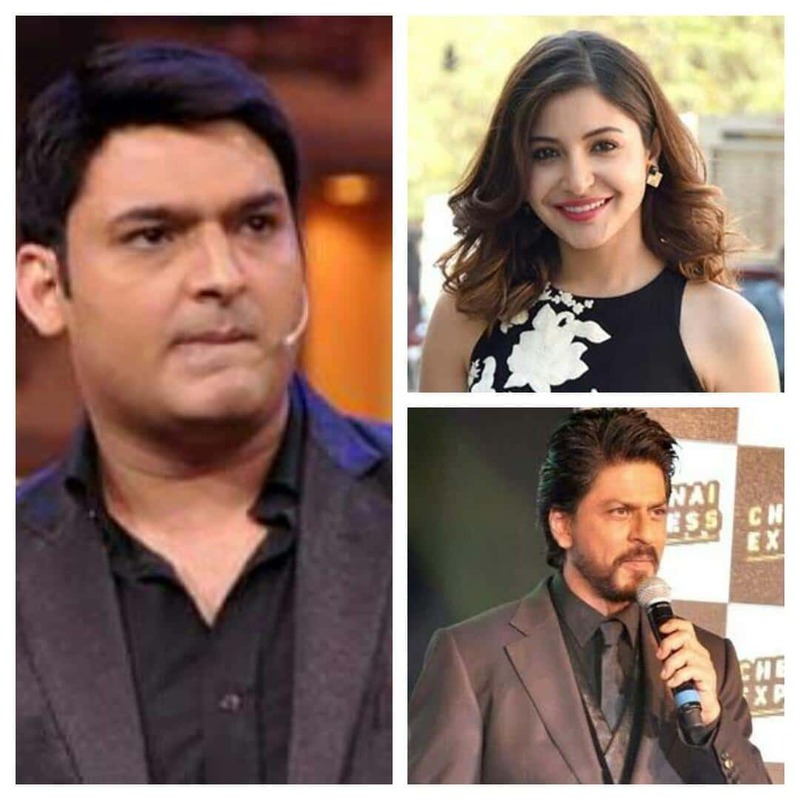 Home / Anushka Sharma / Bollywood Movies / Jab Harry Met Sejal / Kapil Sharma / Shah Rukh Khan / Shah Rukh Khan, Anushka Sharma Left The Kapil Sharma Show Midway While Promoting Jab Harry Met Sejal? Shah Rukh Khan, Anushka Sharma Left The Kapil Sharma Show Midway While Promoting Jab Harry Met Sejal? There is shocking news for Shah Rukh Khan and Anushka Sharma fans that are eagerly waiting for the duo's upcoming film 'Jab Harry Met Sejal'. As per a report by India.com, it can be asserted that Shah Rukh Khan might not promote 'Jab Harry Met Sejal' on The Kapil Sharma Show. Rumour has it that the comedian-turned-actor Kapil Sharma didn't turn up for the shoot of that episode as he has under too much stress. SRK and Anushka left the show then and there. We wonder if this is all rumour or truth and if it's latter then it would be a huge blow to The Kapil Sharma Show. Kapil’s show as it is has had a rough time in recent months for his feud with co-stars Sunil Grover, Ali Asgar and Chandan Prabhakar due to mid-air tiff, pun intended, between Kapil and Sunil who plays the famous character of Dr Mashoor Gulati. Just recently Chandan Prabhakar, who plays Chandu chailwala, returned to the show and the show’s TRPs catapulted immediately. What needs to be seen now is the SRK-Anushka tiff with Kapil Sharma and if it's true at all or not. We all know Shah Rukh Khan has always shown his love for Kapil, in fact he was the inaugurating guest on The Kapil Sharma Show last year when the second season was launched. Are there chances that SRK and Anushka Sharma might never return to The Kapil Sharma Show let alone promoting 'Jab Harry Met Sejal'? Whatever the case shall be, we would eventually come to know soon. 'Jab Harrry Met Sejal' is directed by Imtiaz Ali and is scheduled to release on August 04. As per the mini trails released so far, it seems that the movie is set in Europe where Shah Rukh Khan, playing a Punjabi and Anushka Sharma, playing a Gujarati, are together hunting for a lost ring given to Anushka by her fiance.